Joji Hattori, violin & viola, is one of the leading Japanese musicians of his generation and has enjoyed a very varied career as a musician, firstly as a concert violinist, an activity which has developed into directing chamber orchestras, conducting symphony orchestras and finally operas. 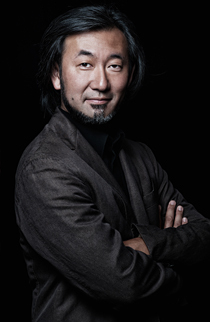 In 2014, Hattori has been appointed Principal Guest Conductor and Co-Artistic Director of the Balearic Symphony Orchestra in Palma de Mallorca. He also continues his work as Associate Guest Conductor of the Vienna Chamber Orchestra, a position which he has held since 2004. From 2007 to 2008 Joji Hattori served as Principal Resident Conductor of the Opera House in Erfurt, Germany, and from 2009 to 2011 as Music Director of the open-air Summer Festival at Schloss Kittsee, Austria, an activity which he resumed again in 2017. As guest conductor he regularly works with many distinguished orchestras such as the Philharmonia Orchestra London, Slovakian Philharmonic, Wiener Symphoniker or the Düsseldorfer Symphoniker. In 2009 he made his debut at the Vienna State Opera with three performances of The Magic Flute, conducting in fact the Vienna Philharmonic Orchestra in the pit. He has also conducted repeatedly at the New National Theatre Tokyo which is Japan’s leading opera house. He was born in Japan and spent his childhood in Vienna where regularly attending the opera house and concert halls formed his musical development. Influenced by both cultures, Hattori is today one of the very few musicians of Asian heritage who is respected internationally for his interpretation of the Viennese Classics. He started playing the violin at the age of five and studied with Rainer Küchl at the Vienna Academy of Music, followed by further studies with Yehudi Menuhin and Vladimir Spivakov. In 1989 he won the International Yehudi Menuhin Violin Competition in England. After a decade of international activities as a violin soloist, he participated at the inaugural Maazel-Vilar Conductor’s Competition in New York in 2002, where he was given a major award and the opportunity to study conducting techniques with the late Lorin Maazel for the following 2 years. Apart from his performing activities, Joji Hattori is President and Member of the Jury of the International Yehudi Menuhin Violin Competition and in 2003 he was made Honorary Member of the Royal Academy of Music, London. Having studied social anthropology at Oxford University (St. Antony College), he also continues to research the questions around the national identity of human beings. Since 2015 he is also the owner of Shiki, a Japanese Fine Dining restaurant in Vienna.